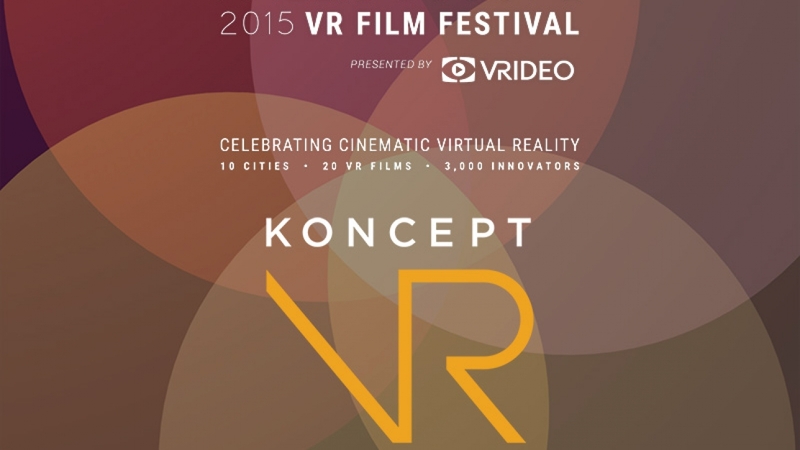 Koncept VR | Freedom360 is proud to announce that we will join the Kaleidoscope VR Film Festival as a Bronze Sponsor in New York this year. The event will take place on October 6th at the event venue 26 Bridge located at 26 Bridge St in Brooklyn, New York. We will showcase some new VR demos and talk about live action VR and its growing popularity among the masses. We will also display all the great Freedom360 gear such as our 360 video mount systems and all the accessories at our booth. If you are interested in meeting members of our company and want to see our Gear VR exclusive demos, stop by our table and say hello! Below you will find more info about the event. You can also [purchase your ticket by clicking the link below. 7:00pm to 8:00pm: The event is open only for VIP ticket holders. 8:00pm to 11:00pm: The event is open for general admission ticket holders. 8:30pm to 9:00pm: There will be a panel of VR Filmmakers discussing their work. ARJAN VAN MEERTEN – Arjan is a director and Visual Effects artist from the Netherlands and creator of the VR music video SURGE. He co-founded the dutch animation studio “House of Secrets” and has over 11 years of experience in the industry. Having worked on commercials, movies and rides, he now focuses on virtual reality content. Next to his day job at the studio, he creates music videos for his own tracks. MAC CAULEY – Artist, engineer, and animator Mac Cauley is the creator of The Night Café, a virtual reality experience that takes you inside a Vincent van Gogh painting. The Night Café won the grand prize for the Oculus VR Mobile Game Jam of 2015. AARON BRADBURY – Creator of the acclaimed VR film LoVR, Aaron is based in Derby England. By night he is a short film-maker, a lover and a fighter. By day a cg artist, tea drinker and enigma. AVRAM DODSON – Avram is the director of the VR animation The Last Mountain. His previous film, Pistachio Milk, received the Golden Starfish at the Hampton International Film Festival and Best Student Short at Austin Film Festival. His work has also screened at South by Southwest. Prior to film, he received bachelor’s degrees in chemistry and computer science from the University of Texas in Austin.